“Schaerbeek is vibrant and ungentrified, with great architectural heritage,” says Huw from the UK, who moved here from Portugal. “I like it for its parks, good house prices and great public transport, but a little gentrification like decent coffee shops wouldn’t go amiss.” Estonian Hans, meanwhile, describes it as “bohemian and metropolitan, a bit fancy in some places but not trying too hard”, and rates it for the proximity of the EU institutions and the city centre, plus its local shops and bars. 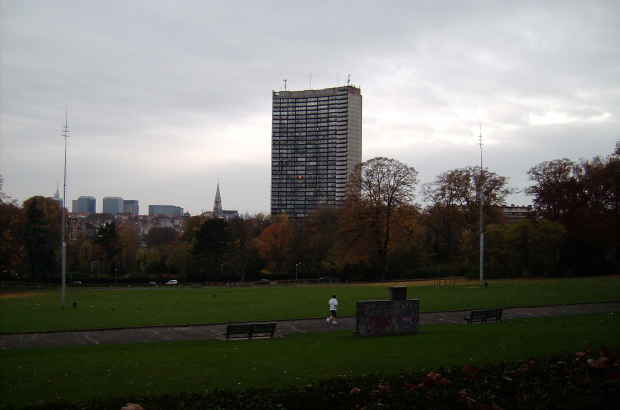 Reports of service at the town hall are mixed, and several respondents to our reader survey would like to see more services offered in English, given the large number of non-Belgians living in the area. As well as the main town hall at Place Collignon, there is a satellite office close to Place Dailly. Indeed, that was the original name of the commune. When the combination "ae" was replaced by "aa" in Dutch, the francophones had to be awkward again and stick to the older spelling. So it became "Schaerbeek" in French and "Schaarbeek" in Dutch. Most francophones prefer to "forget" that the whole of Brussels was Flemish from the very beginning to the mid 19th century, when the francophones (and francofiles) took over. They often refer to Dutch as "le Flamand", (cette langue paysanne). The Bulletin apparently teams up with the francophones: c'est plus chic.